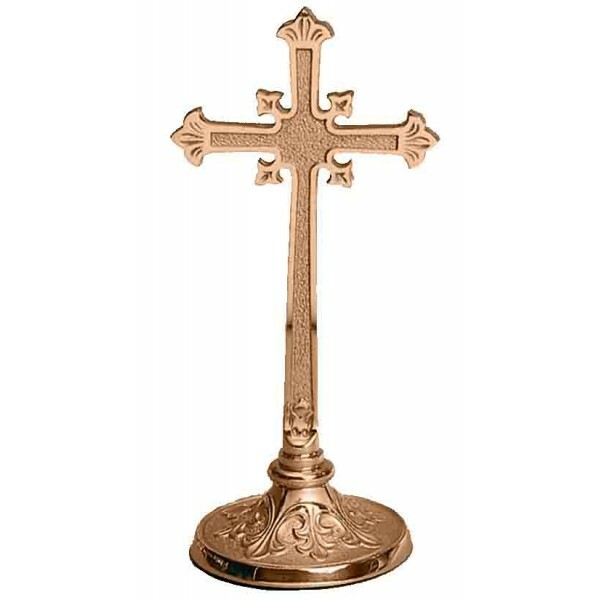 Excelsis 232 Series Altar Cross, 12" Tall with a 5" Base. Metals available are bronze or brass. Finishes available are high polish or satin. Image and price reflects the high polish, bronze model. Many matching items are available in the 232 series.